Kim Kardashian is one of the most voluptuous women in all of show business. Her curvacious body measurements are the envy of women around the globe. People often ask the question "what is she famous for?" and the answer is simple, Kim Kardashian is famous for her bodacious figure, and perhaps most notably her unusually sizable derriere (which some claim isn't natural). If you take a minute and browse through a few websites, you will find a variety of differing answers in regards to Kim Kardashian's body measurements, and rightfully so, as her shape naturally fluctuates when she gains or loses weight. When Ms. Kardashian is at her targeted body weight of 135 lbs (61 kg), her body measurements are estimated to be 34 (bust), 26 (waist), 39 (hips). There was a recent report by the website Grazia that claimed Ms. Kardashian-West has a personal seamstress that custom tailors her jeans to size 4 waist and size 16 bottom. Keep in mind, Kim only stands 5' 2.5" (159 cm) tall, so these measurements are pretty unbelievable. Kim has previously confirmed that her bra size is 34D. That may seem like an understatement when you consider how much bust she gained during her pregnancy, at which point she presumably elevated to an E or bigger. Furthermore, she is confirmed to wear a size 7 shoe, and is also believed to wear a size 6 dress. Keep in mind, Kim may not always look like she resembles to measurements listed on this page, but its important to factor in her current weight, which will then determine her current body shape. Share your respectful opinion about Kim and her figure in the comment section below. Keep it clean and play nice. Stacie Orrico bust, waist, hips measurements? Stacie Orrico is an extraordinarily blessed American Christian singer-songwriter and musician who is perhaps best recognized for hit singles including: Stuck, I'm Not Missing You, I Could Be the One, and (There's Gotta Be) More to Life. "You see so many artists who are so talented end up living sad, empty lives. This industry takes so much out of you that without the accountability and leaving God in the center, you can be left so empty and void." "I would love to hear all types of Christian artists played all over the world. I'd love to hear good, positive mainstream music played all over the place. I'd love to be able to bring music together. But I have not deserted Christ. I have not deserted my faith." "Every time we've gone somewhere, it's just been better and better and God's always blessed us for following." Soleil Moon Frye bust, waist, hips measurements? 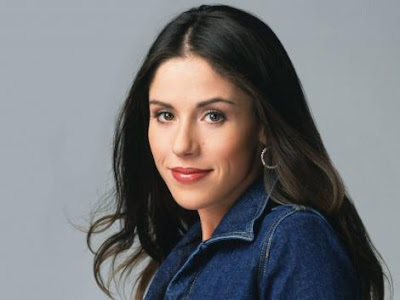 Soleil Moon Frye sweet beloved American actress who has been cast on both television and in film. Her most prominent role came as the title character on the 1980's sitcom entitled: Punky Brewster. She later starred as Roxie King on the sitcom Sabrina, the Teenage Witch. Her filmography includes: Mind Games, The St. Tammany Miracle, and Motel Blue. "It's never too early to involve your kids in giving back. And the more hands-on the experiences are, the better." "I think that's one of the most important gifts we have in television - the ability to heal through laughter." "I have those moments with my kids and family where we try to unplug and just be in the moment. We put everything else to the side and just be there with our family." Solange Knowles bust, waist, hips measurements? 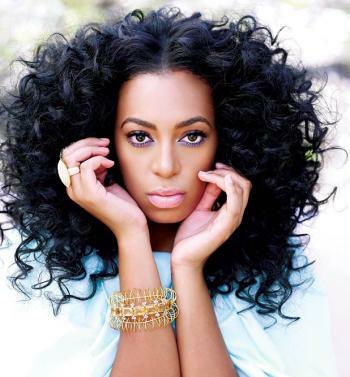 Solange Knowles is a beautifully fine American singer-songwriter and occasional actress who perhaps best recognized for catchy tunes including: I Decided, Sandcastle Disco, and T.O.N.Y. She has also been cast in films such as: Johnson Family Vacation, and Bring It On: All or Nothing. "It is always an honor to work with those that share your passion for music and just enjoy making great music." "I felt like when I took my weave out, I wasn't pretty, I wasn't noticeable." "Any decision I make is based on myself, and the only person I have to give an explanation to is God." Sofia Vergara bust, waist, hips measurements? Sofia Vergara is a breathtakingly gorgeous Colombian actress and model who has starred on both the big and small screen. Her filmography includes titles such as: The Three Stooges, The Smurfs, Madea Goes to Jail, and Chasing Papi. She is probably best recognized for her role as Gloria Delgado-Pritchett on the wildly popular television show entitled: Modern Family. "If you're asking if my breasts are natural, yes, this is how I've looked since I was 13 years old." "I'm fearless, I don't complain. Even when horrible things happen to me, I go on." "I don't think God cares if I wear nail polish or not. I don't think that's a deal breaker for him." Sherilyn Fenn bust, waist, hips measurements? Sherilyn Fenn is an enchantingly stunning and fabulously talented American actress who has tasted success in film and on television. Her filmography include: Fatal Instinct, Boxing Helena, The Wraith, and Cement. 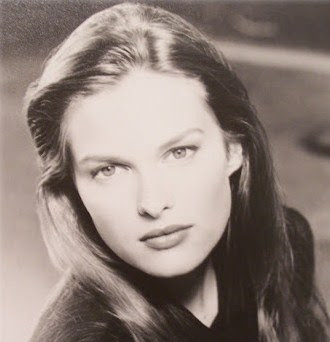 On the small screen she is recognized for her role on TV programs including: Rude Awakening, Twin Peaks, Gilmore Girls. "I was told once that I didn't play the Hollywood game, and that's why I wasn't a big star. What they meant when was that I don't go to parties, and when I go to an audition and I don't like the script, they know it." "There is something at work that's bigger than us. It's about having a trust in life and being at peace that things are happening the way they should. You do what you do as well as you can do it, and then you don't worry or agonize about the outcome." "I say what I feel. I try to be tactful, but I can't not say what I feel. I have a really big problem with that." Sara Evans bust, waist, hips measurements? Sara Evans is a magnificently talented American award-winning singer-songwriter who is recognized for hit singles including: Born to Fly, Suds in the Bucket, A Real Fine Place to Start, and A Little Bit Stronger. Her discography includes: No Place That Far, Real Fine Place, and Stronger. "Have a relationship with Jesus and make it your top priority. I've also learned that it doesn't pay to stress and worry, just go where God leads you." "I eat vegetables, salads and salmon. I try to stay away from sugar. When I am eating healthy and drinking lots of water, I always feel better." "I think anyone smiling and happy is beautiful." Sally Field bust, waist, hips measurements? Sally Field is a sensationally gifted American award-winning actress, director and producer who has starred in numerous blockbuster motion pictures including: Steel Magnolias, Places in the Heart, Norma Rae, and Kiss Me Goodbye. On television she is recognized for her work on shows including: The Flying Nun, Gidget, ER, and Brothers & Sisters. "It took me a long time not to judge myself through someone else's eyes." "There are parts of me that I feel are beautiful, but they don't have anything to do with my nose." "I really have no ulterior motive in taking on certain roles. I have no larger issue that I really want to show people. I'm an actor, that's all. I just do what I do." Katharine McPhee bust, waist, hips measurements? Katharine McPhee is a delightfully gifted American singer-songwriter and actress who is perhaps best recognized for studio albums including: Unbroken, and her self-titled debut offering which sold over 400,000 copies. Her filmography includes: You May Not Kiss the Bride, and The House Bunny. She also starred on the television series entitled Smash. "I don't need sad faces or anyone to feel bad for me. I have got a record deal, pretty much. It wasn't about winning the title, I just wanted to give the best performance I could." "It's so important to have positive, beautiful women as influences." "I'd love to be Barbra Streisand-so famous but living a wonderful life with a husband." Katee Sackhoff bust, waist, hips measurements? Katee Sackhoff is a lovely talented American actress who is perhaps best recognized for her work on television programs including: Battlestar Galactica, 24, Longmire, and CSI: Crime Scene Investigation. "Well, you know. I'm one of those people, losing weight for me is not easy. For one thing, I love food. I really like to eat." "Science fiction fans are awesome, they love you so much that they'll watch anything you do, even if it's complete crap. I never dreamed that I would go to conventions and sit down and have coffee with a Klingon. It's so weird, but it's my life." "I get some very nice fan letters. Someone actually sent one to my parents, with another letter inside for me. Kinda weird." Kate Winslet bust, waist, hips measurements? Kate Winslet is an exceptionally talented English award-winning actress who has starred in numerous blockbuster motion pictures including: Revolutionary Road, The Reader, Finding Neverland, Iris, Titanic, and Sense and Sensibility. "There are moments to indulge and enjoy, but I always know when it's time to go home and wash my knickers." "Plastic surgery and breast implants are fine for people who want that, if it makes them feel better about who they are. But, it makes these people, actors especially, fantasy figures for a fantasy world. Acting is about being real being honest." "I like exposing myself. There's not an awful lot that embarrasses me. I'm the kind of actress who absolutely believes in exposing herself." Kate Walsh bust, waist, hips measurements? Kate Walsh is a magnificently talented fun-loving American actress who is best recognized for her lead role as Addison Montgomery on the hit television series Private Practice and Grey's Anatomy. Her filmography includes motion pictures such as: Legion, Under the Tuscan Sun, and The Perks of Being a Wallflower. "There was a chiropractor I had to stop going to because he would take away my pain and he was the most gorgeous man in the world." "I think we’re all trying to eat healthier these days, and as a woman and an actress, I’m always concerned about eating right. But at the same time, you want it to taste good. I’m sort of notorious for having at least one potato chip a day. I don’t like to diet, that’s never worked for me. I like to eat right and in moderation, but give myself treats and kind of have everything." "What is harmful to kids is to give them a first-year teacher. 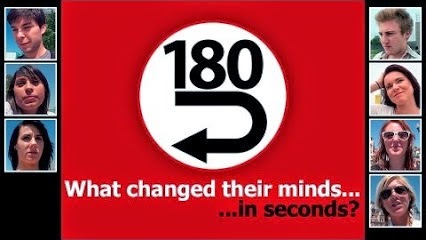 That is absolutely the wrong thing you can do in terms of learning gains." Kate Nash bust, waist, hips measurements? Kate Nash is a wonderfully talented English singer-songwriter and musician who is recognized for studio albums including: My Best Friend Is You, and Made of Bricks. Her most popular singles include: Foundations, Pumpkin Soup, and Do-Wah-Doo. "I just wanna be an artist, like someone like Bjork and Kate Bush and Regina Spektor. These are people that have saved people, I think, by being what they are." "I'm getting the opportunity to live the kind of youth lifestyle that you should be able to live and you dream of it and it feels like a film and it's well good." "Drugs are ugly and scary,stuff like coke, I'd just hate to put something up my nose. And it just hits you there and destroys part of your brain! I've been tempted. But I've got really heightened emotions anyway. I can get really over-excited about a biscuit." Yoko Ono bust, waist, hips measurements? 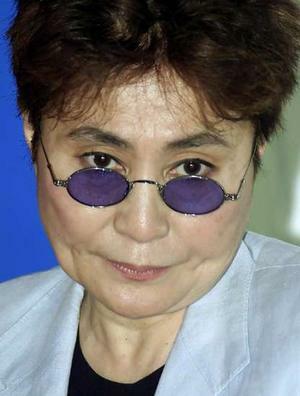 Yoko Ono is an iconic Japanese singer-songwriter, artist, author and activist who is perhaps best recognized for her relationship with legendary musical genius John Lennon. She is also recognized for studio albums including: Double Fantasy, Milk and Honey, Season of Glass, and It's Alright (I See Rainbows). "John wrote with a very deep love for the human race and a concern for its future." "Remember, each one of us has the power to change the world. Just start thinking peace, and the message will spread quicker than you think." Yasmin Le Bon bust, waist, hips measurements? Yasmin Le Bon is an extraordinary gorgeous British model who is probably best recognized for modeling for designers including: Christian Dior, Versace, Calvin Klein, and Chanel. "If I look at fashion magazines and see images of 15-year-old girls wearing skimpy outfits, I can't relate to that, and I'm in the business! What hope is there for all the other women in the world?" Whitney Port bust, waist, hips measurements? Whitney Port is a fabulously gorgeous American television star and clothing designer who is perhaps best recognized for starring on TV programs including: The City, The Hills, The Hills, and Britain & Ireland's Next Top Model. "I think it's important on a date to listen and be interested in the other person. If a guy isn't going to be interested in me, then I'm not going to force him!" "From the beginning of The Hills, I was very career-oriented. I had had a boyfriend for the first year and a half, and I made a conscious effort to keep that to myself. I just didn't want to be that vulnerable." "I was very intimidated working at Diane von Furstenberg. But I have become more assertive, and I am not afraid to speak up. When I have an opinion, I say it." Virginia Madsen bust, waist, hips measurements? Virginia Madsen is an exceptionally gifted American actress who has starred in an array of blockbuster motion pictures including: The Number 23, Candyman, The Astronaut Farmer, Firewall, Sideways. "Men, we don't need you to be a knight in shining armor. We just need you to be a little bit brave, just a little bit. And some of them are, and that's what he does." "I didn't like the kind of movies I was making, I didn't like my career, which seemed to be on this train that was just speeding in the wrong direction, so I had to stop everything or I wouldn't have been able to recover it and it's taken me 10 years to be where I want." "I hope Britney doesn't get bummed out that Lindsey is a better singer. It is not Lindsey saying it, it's me. Lindsey would never say that. She's an actress first. It's just a bonus that she can dance and sing." Vinessa Shaw bust, waist, hips measurements? Vinessa Shaw is a wonderfully engaging American actress who has starred in motion pictures such as: Two Lovers, Big Miracle, The Hills Have Eyes, Corky Romano, and Puncture. "I'm frightened of horror movies. Ever since I was a kid, my friends who always wanted to see them would mortify me by showing me clips from a movie, and I would have to run in the other room, call my parents, and go home." Vanessa Carlton bust, waist, hips measurements? 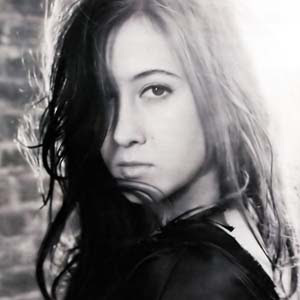 Vanessa Carlton is an extraordinarily blessed American singer-songwriter and musician who is perhaps best recognized for studio albums including: Rabbits on the Run, Be Not Nobody, and Heroes & Thieves. Her most successful singles include: A Thousand Miles, Pretty Baby, and Ordinary Day. "I work hard and I will always work hard. But I feel very lucky with the way that it has all come together." "I am always drawn to men that are funny. I do not know why. But I am always drawn to people that are struggling with parts of themselves. But it's like in the end, there has to be confidence." "My songs are a direct route into my brain and my heart." Valerie Bertinelli bust, waist, hips measurements? Valerie Bertinelli is an exceptionally charming American actress who is perhaps best recognized for starring as Barbara Cooper Royer on the TV program entitled: One Day at a Time. In addition to her lead role in numerous movies, she is also recognized for her role as Melanie Moretti on the sitcom entitled: Hot in Cleveland. "Professionally, I have no major goals. That's partly because I'm really flaky. I want things, but I don't go after them. I'd rather they be placed in my lap." "When you're busy blocking out difficult emotions and feelings, you're not going to feel the good stuff, either." "I've realized that I'm more important than food is. I love a big slice of pizza, but I love myself more. Being thin is about changing the way you think about yourself. It's about saying that you deserve to be healthy."